The other week, I was surprised with a happy e-mail from Toni saying that I had won the Traveling Stash Giveaway! Oh my, I was so excited! If you haven't heard of this, it's a giveaway that travels from one blog to another. The recipient wins a Large Flat-Rate box filled with fabric, sewing patterns and notions, takes what they'd like to keep, and fills the box with some other goodies for the next winner. Genius! When I opened the box from Toni, it was bursting with goodness! I struggled to fit it all in one photo, but here is what I found. I had so much fun looking through this stash! I am definitely keeping some goodies for myself (including some FQs and those fun sewing patterns I've been wanting to try), and then I'll fill the box to the brim with more sewing goodness. And you can win it! 3. You must promise to refill the box after you have taken out what you want to keep. Giveaway now closed. Congrats to Diane! Leave a comment by Tuesday, March 6 and I'll pick one winner via Random.org. 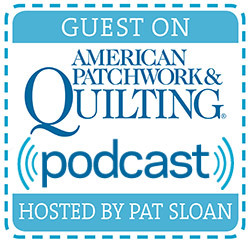 You can tell me what items your sewing stash is lacking (or overflowing with). OOOH, I know I'm number one; hopefully I get picked! You were super duper lucky to get this! This is excited! What an awesome idea for a giveaway! :) I agree to the 3 rules! And I have plenty of fabric to fill it with... and would love some notions, patterns, books... more fabric. I don't know. :) Everything would be so much fun! I love the idea of this! 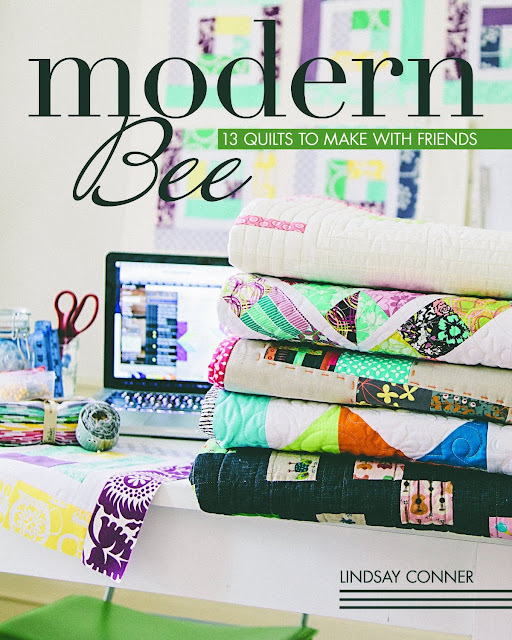 I have some fabrics and books that I would add. 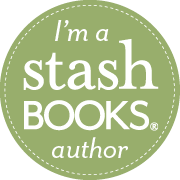 And wouldn't it be fun to add a little postcard or something to let the next person know where the stash has been? I am SO interested in this! I need some basics for my stash, but I have lots to give should the traveling box come to me!! As a newer blogger, it would be so fun to have a chance to add to my little stash. I would pick a variety of FQ's and replace them with others. Thank you for the chance to win. I would love to play along Lindsay. :) Count me in for the running! definitely a cool idea! please include me! I would love to have this box visit me and will post an update. I would love to get a visit from the stash! I entered over at Toni's and I've been waiting to see when you posted about it so I could enter over here! I'm lacking thread. Thinking of stocking up. Also lacking purples and oranges in my color schemes and since i'm such a fan of novelty prints i am also lacking in basics! What a cool idea!! My stash is overflowing with books and patterns. Count me in! That would be so much fun to win! 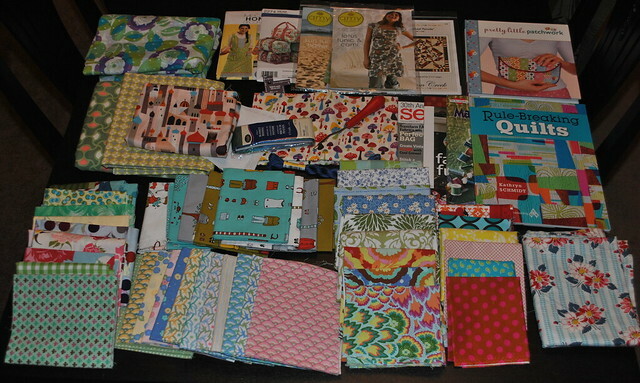 I have lots of books, patterns and fabric I could swap out. Lots of fun goodies to dig through! And yes, I'd love to have a chance to play with the travelling stash! Ooh I'd love a chance! I could use some more prints w/one or two colors! I have a lot that are really crazy and don't always play nicely together! Thanks for the opportunity to win the Traveling Stash. I've been hearing about these all over Blogland and would love to see one for myself. My stash is missing...mystery goodies from the Traveling Stash box! Really, I'd love to add a few fabrics and patterns that I wouldn't normally purchase for myself. Lucky you for winning! This is so fun! I'm lacking gray prints for some reason. WooHoo! This would be perfect timing as I just unpacked the last ox of fabric in my new home and have some stuff in a pile to give to quilty friends already! Yay! Another chance! My stash is lacking Heather Ross... But truthfully I'm trying to keep my stash small and use what I buy! Oh my! Wow, this is an awesome kind of give away. One that just keeps on giving!! It's be super duper cool to win.... so count me in! Wonderful! My stash is lacking in greens, purples, and yellows...I may have to do something about that today. This is such a wonderful prize! Thanks for the chance! Pick me! 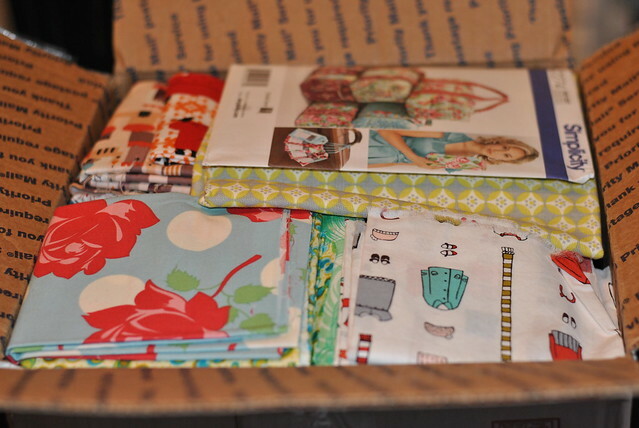 There are some great things in that box...and from watching you sew, I know whatever you trade will be amazing too! Oh, and I have one small fabric shelf that is busting at the seams...I know I have things that need a good home! I love this idea! Crossing my fingers! My stash is lacking in yellow, oranges and purples. Pick me! I'm a beginner sewer and would love to get inspired by this stash - so many beautiful fabrics to choose from! Oh sounds so fun. According to my hubby I don't need anything lol but I want everything. I seem to be shy on cival war reprints but I love bights and that is what I collect and want. 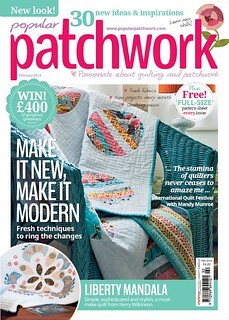 I would rid myself of dull fall like and just stuff it to the brim with patterns patterns patterns and fqs and yardage. Oh going through my stash would be half the fun! This is such a good idea!! I would love to be thee next one! I would LOVE to be the next recipient of this lovely box. 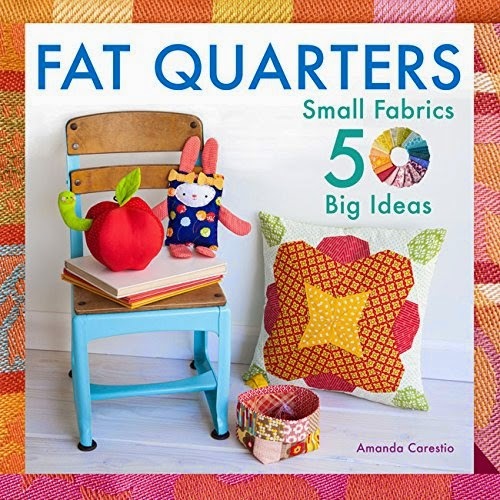 I'm always looking for some new fabric to round out my stash, and I'd love a peek at those patterns too. How exciting is this!! I have a great deal of books!!! But am lacking in certain fabrics...such as large prints. 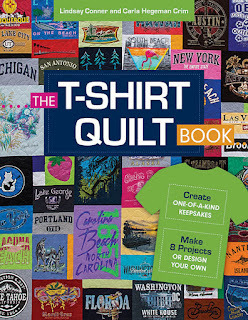 mine is lacking solids and quilting books! I'm certainly lacking some bag patterns (how can I *not* have bag patterns) and Little Apples! Pick me, Pick me!!!! Such an awesome idea!!! I see some lovely things. I have been seeing these around blog land and would love to have one come and visit me! This just looks sooooo fun! How much fun is that! Well...I have a lot of flannel and patterns, but I would like more fun fabric! I hope I win! Oh pick me! 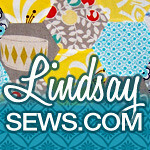 I promise to post what I create using my new goodies at our blog!! Eak. Super excited for this! Wow, amazing! I have a ton of fabric I'll never use that I can fill this with. I have some neat boys fabric that my boys are too old for. The stuff in the picture looks great! ack, what an awesome idea! count me in! It seems like my stash is overflowing with everything, but I know it's not as well rounded as some I have seen online. What a great idea ! I always need more solids and dots and stripes! That sounds like a lot of fun. I'm sure I have plenty that I can add back in from my stash. That is such a good idea! How kind and inventive people are. I'd love to have a go at this and promise to refill. I think I need more solids in my stash, and more stripes. Ive been wanting to see one of these! Add me to the list. I would definitely enjoy hosting this box. Oh, I would love to play along, what an awesome idea! Almost as much fun to pass along some stuff as to take out treasures for yourself, I'm sure! This looks like so much fun! I am missing some textured solids in my stash....shot cottons, linen etc. Ok, guess I'll try this again. It would be great fun to take part in this. I have tons of stuff I could add since I have been downsizing my stashes. 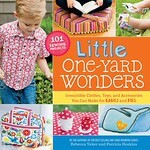 I definitely have some fun fabrics & maybe a good book I could add! As far as what I'm lacking, it seems like I'm not lacking much, except that I never have what I really need!